Deliver in-depth business intelligence (BI) functionality with ComponentOne OLAP™ for WPF. Create pivot grids and charts that slice and dice your tabular and cube data to give you real-time information, insights, and results in seconds. The easy-to-use controls are modeled after Microsoft Excel® Pivot Tables, so they're powerful and familiar for all users. *Available only in ComponentOne Studio Enterprise and Ultimate. Deliver endless views to end users without writing or rewriting code. 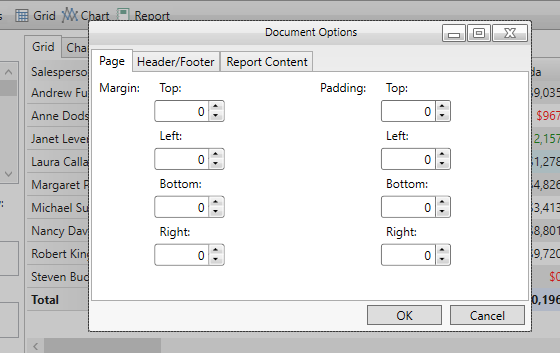 When a user needs a new report, they typically ask the developer to make one. With an OLAP solution, they can build the report themselves and save it for future runs of the application. OLAP saves developers time while giving more power to the end user. To create the simplest OLAP application, create an empty application, drop the OLAP Page control on the page, and connect to a data source. It’s that easy. Run your application and go. Dynamically create summarized views by dragging fields into the row, column, and value lists. The UI is modeled after Microsoft Excel,® so it’s very easy for users to understand. OLAP provides its own OLAP engine that works on top of a wide range of data sources. 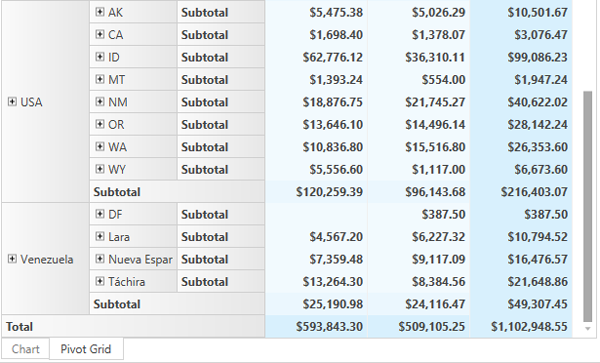 Produce multidimensional pivot tables from tabular data tables, collections of business objects, or even OLAP cubes. The controls also support data binding and work well in MVVM scenarios. With OLAP, you can connect to OLAP data sources from Microsoft® SQL Server® Analysis Services (SSAS). Build a complete front-end dashboard for your database using OLAP while writing just a couple lines of code. With OLAP, users can build a multidimensional pivot table that slices and dices the dimensions, measures, and Key Performance Indicators (KPIs) present in the OLAP cube. Use the filter feature to narrow down the data pool. You can filter on multiple fields: simply right-click on the fields you would like to filter and select Field Settings. From the Field Settings dialog box, you can create your custom text filter, no coding required. You can add as many value fields to a view as you want, enabling users to aggregate totals for multiple measures from the data set. For example, you can create a view that compares both total revenue and cost side-by-side. With conditional formatting, you can draw attention to values that meet certain criteria. You can also specify format thresholds as absolute values or as percentages. For example, you could apply a unique style for values in the top 10% and another style for values in the bottom 10%. Users can configure conditions at run time and save this information with the view. With the OLAP chart control, you can get chart views of your aggregated data. 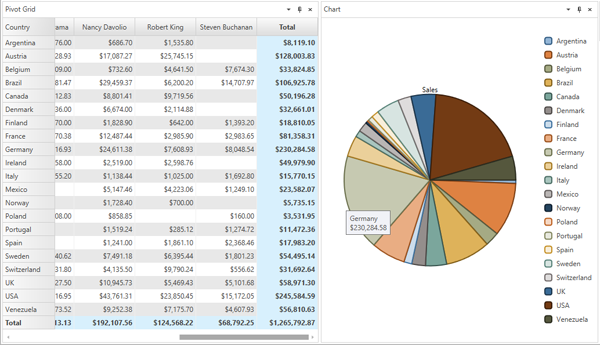 OLAP Chart supports six different chart types — bar, column, area, line, scatter, pie — with tooltips, stacking, and palette customization. 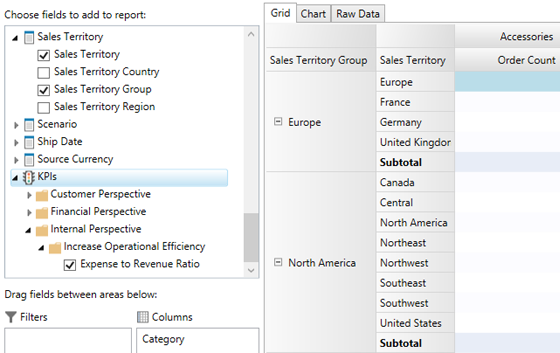 Directly print the grid and chart views in a single report. Users can customize scaling, page margins, headers, and footers, as well as insert time stamps, page counts, and a title for the report. You can drill down to see the underlying records behind each aggregated value in the OLAP Grid control by double-clicking any cell. OLAP's real power and usefulness is its ability to easily save and load views. Configure your application so the user can save common views for future analysis. The pivot table information can also be exported to CSV, HTML, and text formats. OLAP includes several separate controls that can be configured in any custom layout. For example, you can create a custom UI with a complete ribbon and docking tabs.